Start and end in La Paz! 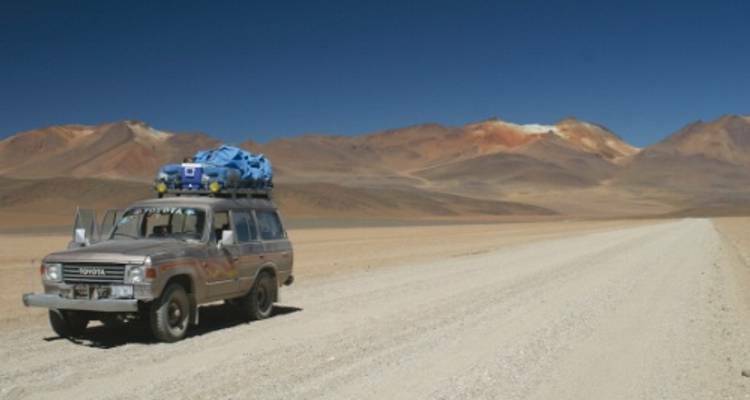 With the discovery tour Uyuni Salt Flats and Potosi, you have a 8 day tour package taking you through La Paz, Bolivia and 5 other destinations in Bolivia. 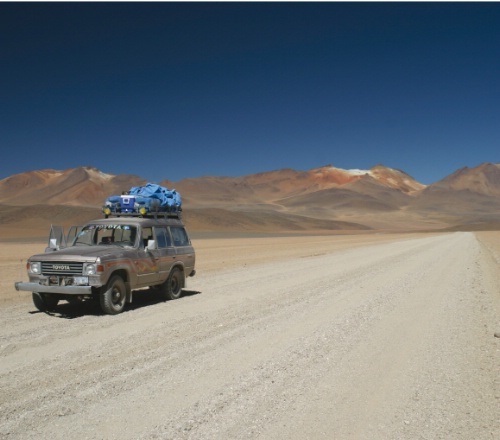 Uyuni Salt Flats and Potosi includes accommodation in a hotel as well as an expert guide, meals, transport and more. Great trip. Well organized. Covered a lot of territory. Nice group. Las knew EVERYTHING, was friendly and overall a great guide. David, our bus driver was equally excellent. Do you do airfare arrangements? We specialise in giving you the best tours from around the world, however the tours we offer do not include airfare and we do not book or advise on airfare. You will be responsible for booking your flights to meet with the group at the starting city. We do not recommend booking airfare before confirming your tour. Please give us more information about the hotels used on this tour. For this particular trip the operator is happy to provide you with a variety of hotels which are clean, comfortable and centrally located. They are usually rated as 3 star and will provide you with all the comfort you require while on the tour. They include private facilities and can be either double or twin accommodation depending on your preference. Are we going to visit the salt flat lake in a 4x4 car? The visit to the salt flats is made by a 4x4 SUV. Recommended for Bolivia. Ideally 2 weeks before travel. Recommended for Bolivia. Ideally 3 months before travel. Recommended for Bolivia. Ideally 2 months before travel. Recommended for Bolivia. Ideally 1 month before travel. Recommended for Bolivia. Ideally 10 days before travel. Start and end in La Paz. TourRadar only requires a deposit of $99 to confirm this World Expeditions booking. The remaining balance is then payable 70 days prior to the departure date. For any tour departing before 5 July 2019 the full payment of $1,745 is necessary. No additional cancellation fees! You can cancel the tour up to 70 days prior to the departure date and you will not need to pay the full amount of $1745 for Uyuni Salt Flats and Potosi, but the deposit of $99 is non-refundable. If you cancel via TourRadar the standard cancellation policy applies. Some departure dates and prices may vary and World Expeditions will contact you with any discrepancies before your booking is confirmed. Covering a total distance of approx 1,235 km. TourRadar does not charge any additional cancellation fees. You can cancel the tour up to 70 days prior to the departure date. If you cancel your booking for Uyuni Salt Flats and Potosi via TourRadar the standard cancellation policy applies.